Ford and its parts division Motorcraft have issued new recommendations about which oil can be used in its diesel F-series trucks. The advisory warns against using CK-4 motor oils. In a highly unusual move, Ford and Motorcraft are changing the motor oil specified for Ford diesel engines and warning the truck owners not to use the motor oil recommended by the American Petroleum Institute. Ford apparently found excessive engine wear while testing the motor oil in its 6.7-liter diesel engines and want owners to avoid it. Kevin Ferrick, Sr. Manager of the AOI Engine Oil Program says, "API works with engine manufacturers to set motor oil standards like CK-4, and we license oils proven to meet the standards. However, OEMs, not API, are responsible for recommending the use of oils meeting specific our standards. 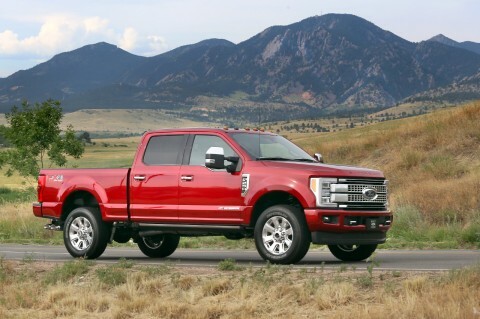 In this case, Ford has chosen to continue to recommend CJ-4 oils." Ford is instead recommending a new formula that includes the properties of CK-4 motor oils plus additives for greater engine protection. It is very odd for an automaker to warn against using something, when it doesn’t have the replacement available yet. A Ford insider tells me "Motorcraft did share the new oil recommendation with dealers prior to the new Motorcraft oil becoming available in order to protect the best interest of Ford customers. The notice also directed customers to continue using the old CJ 4 oil until the new Motorcraft oil arrived on dealer shelves." The F-series is the most important product that Ford has in its fleet and the Super Duty diesels are truly the workhorses. Ford is obviously concerned about the motor oil allowing any engine to be damaged, even though the oil was approved by the American Petroleum Institute. Thanks, Kevin. I really appreciate you getting in contact. Please note that I have included your entire comment in the updated article. Please let me know any story ideas any time!